Voted Best Water Softener System in Central Florida. Simply Pure Water Treatment Systems Pro Series is a custom build High Efficiency 4 in 1 Water Softener exclusively to your water test results we don't sell Fit to All water softener systems. Simply Pure Water Treatment High Efficiency Water Softener will save you 100’s of lbs. of salt and 1000′s of gallons of water – EVERY YEAR, using smart technology that self-adjust during on demand normal operation. It’s more convenient. It’s more economical Use less water and salt on cleaning cycles with smart digital touch screen displays that self-adjusts the cleaning cycle frequency and volume based on your usage. Combines high efficiency water softening technology and is cabable of eliminating heavy metals while having a high resistance to chlorine thru a re-activating carbon layer separated by an internal mesh that prevent mixing with the resin and KDF 55 media as a antibacterial barier not found on any other residential system. This units are build to last, that’s why our guarantee doesn’t stop at 5 years, 7 years not even at 10 years. We guarantee Simply Pure Water Treatment Systems Pro Series Water Softener for 15 years. When Purchased in combination with our VIP preventive maintenance service plan that maintain the media and resin free of build-up increasing the life span by a 100%. 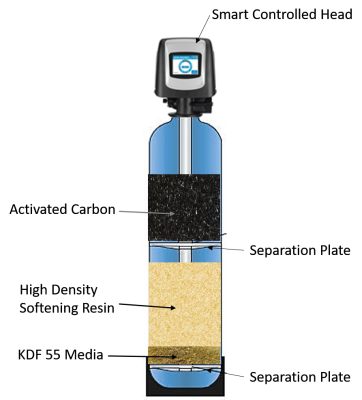 These water softener are designed with an automatic dispensing resin cleaning solution that maintains the efficiency and life span of the resin and eliminating build up in your resin tank. 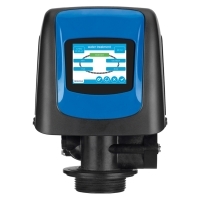 Simply Pure Water Treatment Systems Pro Series is a smart system, self learning valves serve unmatched reliability and protects water flow by learning current water conditions and individual usage. You get unmatched performance from a residential water softener design to last without any downtime. That's The Simply Pure Water Treatment Systems Pro Series Water Softener Unmatched Difference. 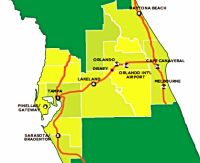 COVERING: Tampa, Brandon, Riverview, Land o' Lakes, Wesley Chapel, Lakeland, Sarasota, Venice, Lutz, Orlando, Lake Wales, Plant City, Fish Hawk, Lithia, Clearwater, St Petersburg, Ruskin, Sun City, Wimauma, Bartow, Winter Heaven, Apollo Beach, Zephirhills, Palmetto, Largo, Dunedin, Mulbery, Wachula, Tarpon Springs & All Towns in Between. For more information about Simply Pure Water Treatment Systems, Industry News, Reviews, Product and Service Information, Offers, Deals, Water Quality Reports in Your Area, Etc. Follow Us in Any of The Following Social and Information Media Websites. THE NAME SIMPLY PURE WATER TREATMENT SYSTEMS AND THE SPWTS DROPLET ARE PROPERTIES OF SIMPLYPUREWATERTREATMENT SYSTEMS. ​ARE REGISTRED MARKS OF SIMPLY PURE WATER TREATMENTSYSTEMS. Simply Pure Water Treatment Systems 4 in 1 Pro Series Softening System is a custom build exclusively to your water test results, this method will increase the life of the system for up to 60% more when compared to Fit to All water softener systems. 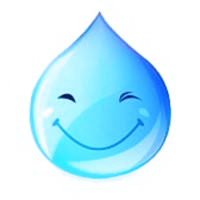 Simply Pure Water Treatment High Efficiency Water Softening Systems will save you 100’s of lbs. of salt and 1000′s of gallons of water – EVERY YEAR, using smart technology that self-adjust during on demand normal operation. It’s more convenient. It’s more economical, use less water and salt on cleaning cycles with smart digital touch screen displays that self-adjusts the cleaning cycle frequency and volume based on your usage. Combines high efficiency water softening technology and is cabable of eliminating heavy metals, organic and inorganic content, reduce chemicals like chlorine and amonia thru a re-activating carbon layer separated by an internal plate that prevent mixing with the resin, also with integrated KDF 55 media as a antibacterial barier not found on any other residential system. 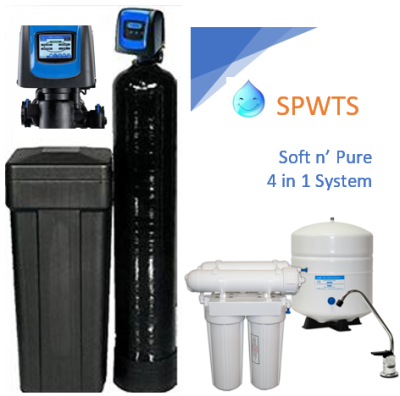 We guarantee SPWTS Water Treatment Systems Pro Series Water Softener for Life. The VIPM water treatment preventive maintenance service plan that maintain the media and resin free of build-up increasing the life span by a additional 80%. Choosing a water softener that are designed with a built in automatic dispensing resin cleaning solution that maintains the efficiency and life span of the resin and eliminating build up in your resin tank. That's The Simply Pure Water Treatment Systems Pro Series Water Softener Unmatched Difference!